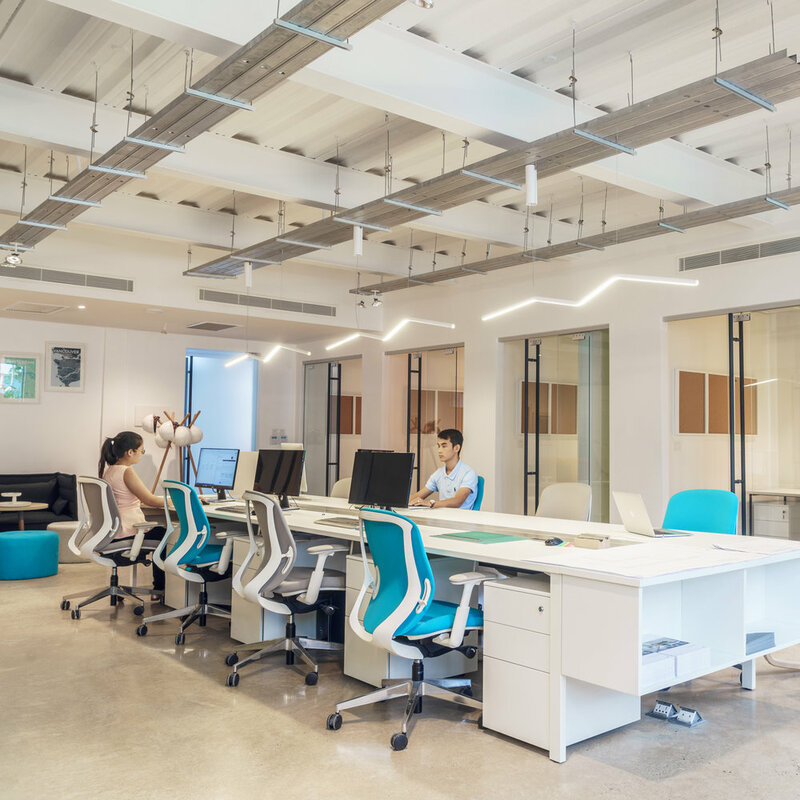 Raintree is Cambodia's first creative office development that takes a fresh approach to workspace design. 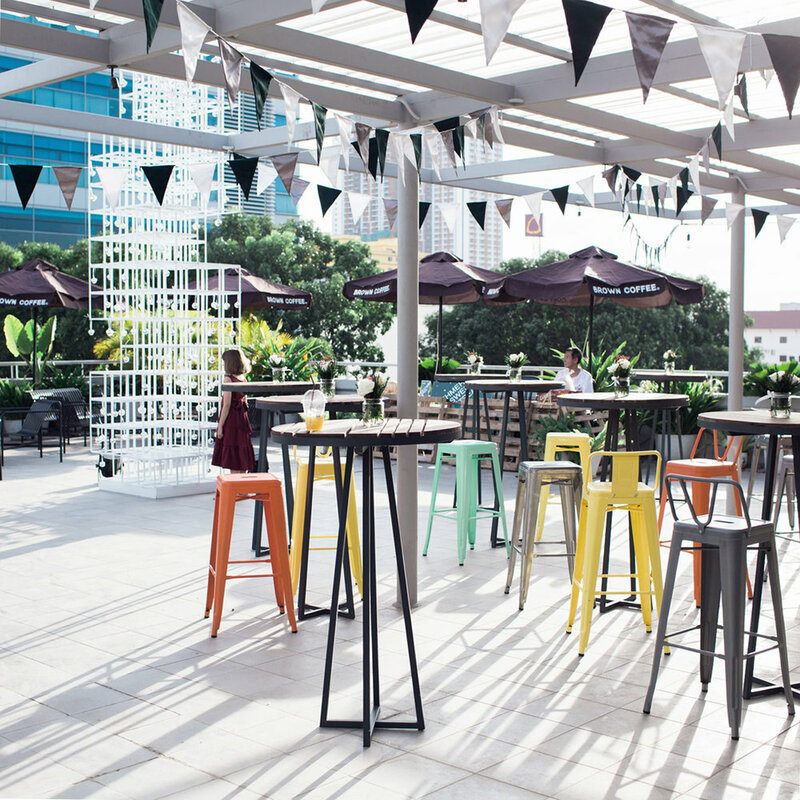 Situated in the heart of Phnom Penh's central business and banking district, the award-winning project houses five floors of modern office space, a loft event space and an outdoor terrace. All spaces are available for lease on a short or long-term basis. The project serves a diverse community of non-profits, fast-growing companies and multi-national corporates alike. Flexible open-plan workspace with office units that can be combined to accommodate from 5 to 100 people. can be configured for workshops, networking or screenings. Outdoor rooftop terrace overlooking the banking district for lunching, workouts, cocktails or parties. Raintree is a supporter of local entrepreneurs, social entrepreneurs and established businesses. Downstairs, the development is home to a cluster of independent retail outlets including a café, casual dining, bakery, pharmacy, after-work bar and florist. Upstairs, a diverse set of organisations and companies reside in the workspaces. Join our expanding family of local businesses - we have limited small-format retail space available for rental. Please contact us to arrange a viewing. A partnership between Urbanland Asia and August Development Co. (ADC), the project brings together development experience from London, Kuala Lumpur, Miami and Phnom Penh, with a dedicated property management team. We take a fresh development approach that is community-focused and design-conscious to encourage the exchange of ideas and experiences.